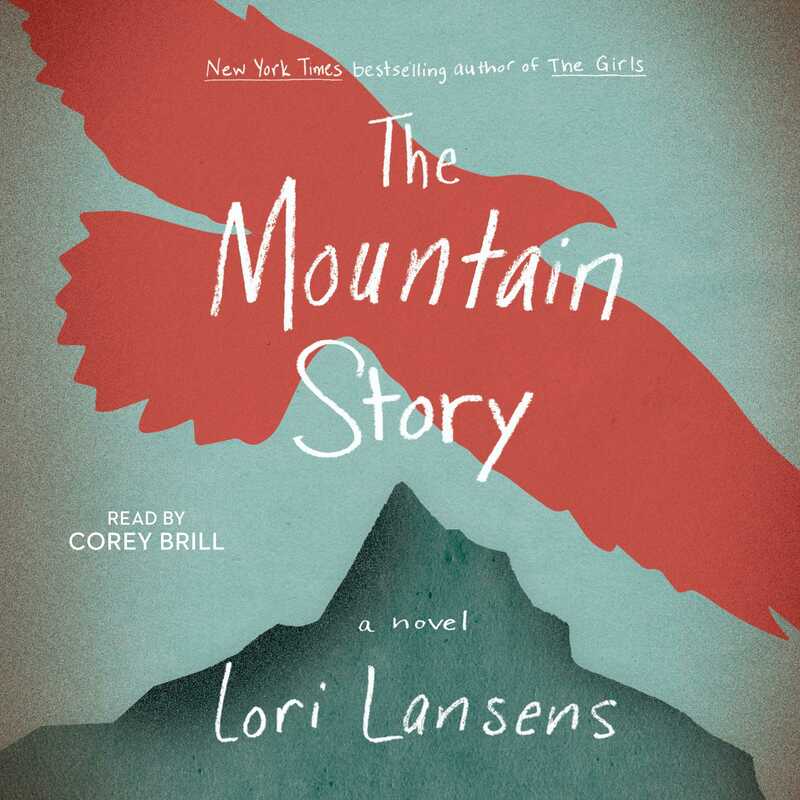 From New York Times bestselling author Lori Lansens comes a harrowing survival story about four strangers who spend five days lost in the mountain wilderness above Palm Springs. On the morning of Wolf Truly’s eighteenth birthday, he boards the first cable car to head up the mountains just a few miles from his sun-bleached trailer home in the desert community outside of Palm Springs. Armed with nothing but the clothes on his back, Wolf’s intention that morning was to give up on life—specifically at the mountain site of his best friend’s tragic accident one year ago. But on that shaky ride up the mountain, fate intervenes and Wolf meets three women that will leave an indelible imprint on the rest of his life. Through a series of missteps, the four wind up lost and stranded among the forested cliffs—in sight of the desert city below, but unable to find a way down. Reminiscent of John Krakauer’s modern classic Into the Wild and Cheryl Strayed’s #1 bestselling Oprah-endorsed Wild, Lori Lansen’s The Mountain Story is a deeply affecting novel that pays homage to the rugged beauty—and utterly unforgiving nature—of the wilderness, and considers the question: What price are you willing to pay not only for the ones you love, but for a complete stranger? 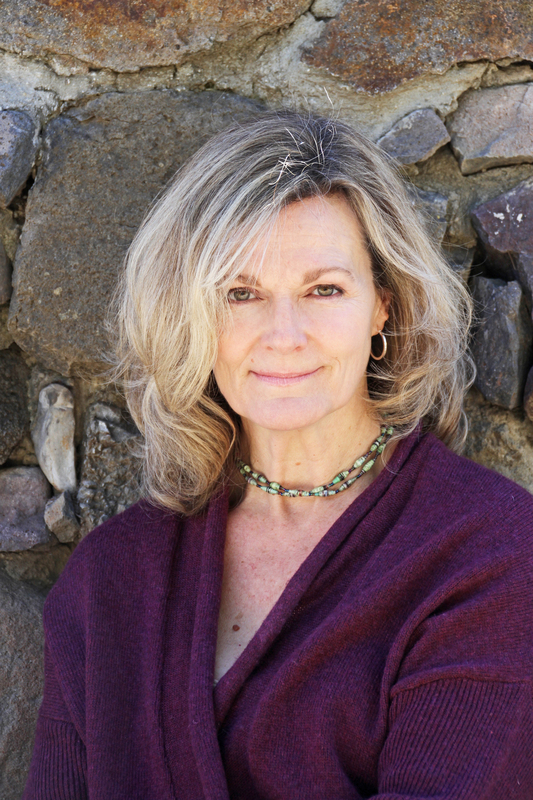 This reading group guide for The Mountain Story includes an introduction, discussion questions, ideas for enhancing your book club, and a Q&A with author Lori Lansens. The suggested questions are intended to help your reading group find new and interesting angles and topics for your discussion. We hope that these ideas will enrich your conversation and increase your enjoyment of the book. The Mountain Story takes the form of a letter that Wolf Truly is writing to his college-bound son, Danny. Until now, all Wolf has told Danny is that he was lost with three strangers on the mountain for five days, and not all of them survived. Now, Wolf decides he owes his son the full truth. In this harrowing tale of survival, Wolf Truly recounts his journey from his fateful decision to kill himself to his willful determination to come down the mountain alive. After Wolf’s best friend, Byrd, has a tragic accident on the mountain, and his father goes to jail, Wolf decides he has nothing left to live for. Wolf goes up the cable car on his eighteenth birthday and the anniversary of Byrd’s accident, intending to jump from Angel’s Peak, a spot Byrd and he named and called their own. The cable car takes him from the hot desert of Palm Springs to a cold and brutal wilderness of the mountain in minutes. And Wolf leaves his backpack behind, thinking he will not need water or supplies where he is going. On the way up, Wolf meets Bridget, who is there with her mother and daughter. As Wolf tries to help them find Secret Lake, a spot not marked on the map, the four become lost together on the mountain. The five days that follow are full of hope, loss, injury, hypothermia, and self-revelation. The Mountain Story is tense and gripping, with many twists along the way. 1. In the introduction to the story, Wolf tells Danny that “to understand about the mountain, you need to know what came before” (page 1). Discuss what Wolf meant by this—why is the background so important to the story? 2. Even though Wolf splits the story up according to the five days on the mountain, he often goes back in time to think about “all the befores and afters that had brought me to that moment” (page 16), filling in details about his time growing up and his life in California. Consider and discuss how this framework affected your reading experience. 3. Wolf notices each of the three women on the tram before he actually meets them. How do his observations and assumptions line up with how they actually are when he gets to know them? 4. Right before they meet on the mountain, Nola’s yellow canteen catches Wolf’s eye and brings back memories of his time with Byrd. Discuss the significance of the yellow canteens throughout the story. Why does seeing it again affect Wolf so much? 5. Wolf admits that he led the women through the woods, thinking he knew the way back to the Mountain Station. Why do you think he was confident for so long about the direction, despite the unfamiliar surroundings? 6. The wind is a powerful presence on the mountain, and the characters are constantly trying to interpret the sounds they hear. Discuss the significance of the wind in the story, and how it affects not only the group’s situation, but also their psyches over the course of the five days. 7. After the group’s initial fall on the first day, Wolf realizes that his “despair, which had weighed [him] down since Byrd’s accident and been deepened by Frankie’s imprisonment, was gone. …It was like some switch had been flipped off, or rather, on” (page 45). Why do you think Wolf’s despair goes away at this moment? 8. We hear two different versions of the story about Jack Mazlo, the hiker who tried to hike down the tramline trail. In Byrd’s version, Jack lives to tell the tale and sits crooked at a coffee shop; but Nola tells Wolf that Jack actually died on his descent, and was never rescued. What is the significance of the story for the group? Why is Wolf so affected when he learns the truth about Jack? 9. While on the mountain, the characters tell stories to each other. Nola reveals one of her biggest regrets—burning down Laura Dorrie’s house in high school. What are some of the other things the characters reveal to each other? How do these revelations affect their relationships? 10. Nola tells the others that “when you get older you think of sadness in a different way” (page 157). What does she mean by this? Do you think Wolf experiences this change as he remembers the mountain story to tell his son? 11. Vonn asks Wolf if he believes in fate—“if being here, on the mountain, right now, stopped you from doing something else, would you see that as a sign that you were not meant to do that thing?” (page 160). Consider the role of fate in the novel and find moments in the story when fate intervenes with a character’s life. 12. For most of the story, it seems as though Byrd died in the accident, but then we find out that he was in a coma. Why do you think Wolf decides to kill himself when he knows Byrd may not be dead? 13. All four of the characters—Wolf, Nola, Bridget, and Vonn—are transformed in some way during their time on the mountain together. Discuss how each of them grows or changes in the five days they are lost. In what ways are they each different at the end of the story? 1. Wolf writes his story as a letter to his son, Danny—but we never get to hear how Danny reacts. Imagine how Danny would react to the revelations he learns from the story, and write a letter from Danny to his father expressing that reaction. Share and discuss your letter with the group. 2. Choose a character and write a scene from his or her perspective, instead of Wolf’s. How do the Devine women see Wolf? Or how does Frankie view his life in California? You’ve had some experience in the California wilderness. Have you always loved the outdoors? My husband and I moved from downtown Toronto to California with our two young children nearly ten years ago. We made our home in a canyon in the middle of the Santa Monica Mountains, where we share our backyard with mountain lions, bobcats, coyotes, and rattlesnakes. We live in the wilderness. A few years ago a mountain lion killed a deer in our backyard. The lion left a hind leg, a front leg, tufts of fur, and bits of tissue strewn about the lawn. I’d heard the struggle in the middle of the night, and when I looked out the window I could make out their forms in the darkness, the limp deer, the chuffing lion. A few other neighbors said they’d glimpsed the lion that week and wondered if it was the female that had given birth at a nearby ranch. Unlikely things happen in the wild. We also have a bobcat that routinely visits our yard. My children think the animal looks cool and ancient. He does. But we still have to scare him off when he lounges on the rock in the shade of the eucalyptus. The coyotes around here are defiant, if not downright aggressive. More than once, in daylight, they’ve come up to the glass in the patio door and looked inside the house. My environment puts me in a state of hyper-awareness and heightened appreciation. Living in the mountains, I learned to love and fear nature in equal measure. Did you decide to write The Mountain Story after your first visit to Mount San Jacinto? Or did the characters come first? Not long after we moved to the canyon, two local high school students, one a neighbor in our community, committed suicide. I only knew the neighbor, and not well, but their deaths preoccupied me, and drew me into my past and memories of dark days and tragic souls. Those teenagers were always in my thoughts, and along with my sorrow for them was fear for my own children, and for the teenage children of my friends. The character of Wolf came from that place, fully formed, and so did the survival aspect of the story, and so did Frankie, the damaged father. The trio of Devines has been stepping out from behind the curtain for some time. They’re drawn from life, some from my past, but most from my present, women who’ve piqued my curiosity. I wanted to explore their family dynamics in this focused way on the mountain. I had the characters’ relationships roughed out, and the ending, just as it is now, was decided, but I didn’t have the right setting, and the setting would determine how the characters acted out their intentions. I let the survival story simmer while I went on with life. You had the characters and you went looking for the mountain? I was still working on my previous book when my husband and I went to Palm Springs the first time. When I mentioned to another mom that my kids were missing snow, she told me about Mount San Jacinto in Palm Springs, and about how she liked to take her children up in the tram to experience winter. When images of San Jacinto appeared on my computer screen I got excited. I had to see it. My husband worried about my vertigo and extreme motion sickness. Between the traffic and the tram I wasn’t entirely confident, either. We didn’t bring the kids up the first time and we didn’t make it in time for snow. I took an extra dose of motion sickness medication before we road the tram up to the mountain station at eight thousand feet. Maybe it was the thin air, or maybe it was the meds, but standing at the first lookout, I had something like a religious experience. The fragrant pines, the wind-worn rock, the miles of wilderness. It was like I’d come home. My husband and I set out on a short hike, following what looked like a path, but wasn’t. After a time we realized our mistake and backtracked, or so we thought. Then we scrambled over some rocks to get a photograph and just like that, we were lost. We argued about whether or not we should cry out for help--he didn’t want to--or just wait to see if we heard or saw other hikers through the trees. We weren’t very lost for very long, but neither of us showed much grace under pressure. Eventually, we heard hikers in the distance and finally found the trail. We were quiet on the drive back to the hotel later. I was already writing The Mountain Story in my head. What kind of research did you do to prepare for writing about the realities of being lost in the wilderness? I read survival stories and whatever I could about San Jacinto, and books about the Cahuilla Indians who lived in the canyons and foothills. I also surfed hikers’ blogs and birders’ sites and climbing blogs and the rescue archives. It was on a climbers’ site that I found a glossary of hiking terms and came across the word thrutching, meaning “to climb without finesse.” I love that word. It’s not in the dictionary, but it should be. I think it could be adapted for broader usage. By far, though, my most valuable research involved spending time on the mountain, being there and experiencing it. I sometimes went alone, never straying far from the station, and several times over the years I hiked with Matt Jordon, a member of the Riverside Mountain Rescue Unit. He took me much farther than I could have gone on my own. I asked him questions, checked in with him to make sure that certain aspects of my story were believable. He was patient and enormously helpful and kept me from getting lost figuratively, too. The novel explores the complicated relationships between fathers and sons and mothers and daughters. Did you always conceive of it that way? The characters came as a package. In the case of the Devines, I wanted to explore those familial relationships stripped of all intentions except survival. I wanted to look at motherhood in an elemental way. In Wolf’s case, it’s the accumulated damage from years of paternal neglect that weighed him down, but Frankie made Wolf strong in some ways, too, and compassionate. Wolf’s close and loving relationship with Danny is informed by his lack of a relationship with his own father. Why did you decide to frame the story as a letter to Danny? Why does Wolf choose now to tell him what happened on the mountain? The story is really a confession. Wolf could never tell Danny in person because he couldn’t trust himself to tell the truth. It’s also a complex story where understanding the past is critical. Wolf needed to write it out to make sense of it. A letter is a private affair, and Wolf’s confession is not intended for public consumption. Danny is a college student, on his own for the first time. There is physical distance between father and son. Seeing Danny flying solo prompts Wolf’s decision to finally tell him what happened on the mountain. It’s not lost on Wolf, that in revealing his long-held secret, he’s offering his child a cautionary tale about risks and boundaries. Did you ever consider a final chapter addressing Danny’s reaction to the letter? I wanted to let the truth sit with Danny, the way a story does with a reader. All of your characters keep secrets, many of which are revealed on the mountain. Why do you think people tell the truth when their lives are at risk? Maybe it speaks to a deep desire to be known and accepted, sins and all, even in our final moments.